White evening dress with puff sleeves and black lace lower hem, printed with large black leaf motif which is appliqued onto the lace. 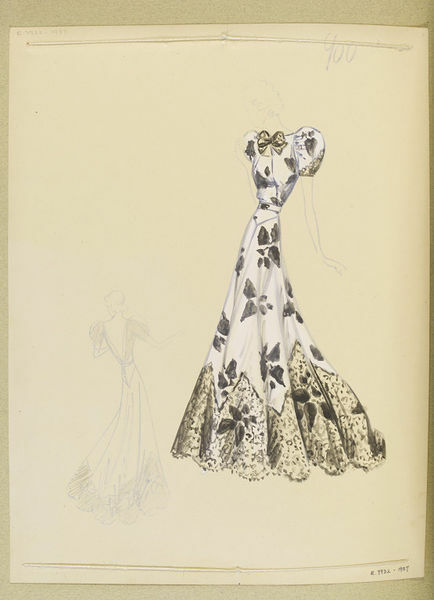 One of 258 dress designs for Summer 1937 bound in volume. Paquin (Ana de Pombo). White evening dress with puff sleeves and black lace lower hem, printed with large black leaf motif which is appliqued onto the lace. 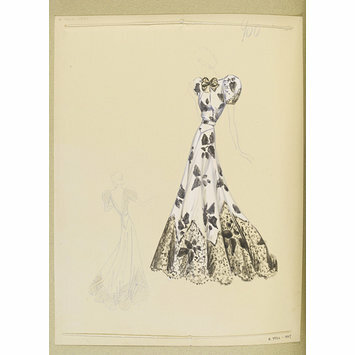 One of 258 designs for Summer 1937 bound in volume.